"Great job cheerfully and expertly done. My neighbour was impressed and will join me in engaging them next year. " "A great job done at short notice and all within budget. Cheers Tony, will be using you guys again!!" "Would rate 110% if I could ! A mighty thumbs up for Tony and Aidans prompt service, excellent quoting followup, supreme and friendly communication and going beyond the call to show they really care about their work on our gutters, repairs and downpipes. Highly recommend, these are your "GO-TO" no mess, gutter cleaning service. The before and after photos were a unique point of difference of their business, really interesting and appreciated - gives a transparent perspective of the… work they did, and what goes on up high, and out of sight. Thanks for the extra clearing of the carport, shed and garage, these guys have initiative and are legend! Thanks again, wish you a great Christmas and happy holidays"
"Tony’s service was outstanding and it really was a great customer service experience. From booking a quote Tony came to view the work, got formal quote later that day, then returned the following day to complete the work on our guttering. He took some photos and provided some really good advice for fixing/replacing them. Tony’s communication & service were just exceptional and we would absolutely refer business of friends/family to his company." "We have high gutters on our house and I don't feel safe on the roof cleaning them out. Tony's service was the perfect solution. He was prompt to respond and did a great job. Thanks Tony. Highly recommend." "Great service provided overall. Prompt response and quote to my initial request for house wash/gutter clean. Turned up on time and did a great, professional job and emailed me once the work was finished with photos showing the work that was done. The place was left clean and tidy afterwards. Would definitely recommend. " "Tony and his crew were dedicated, delligent and professional. Tony came to scope out the job and provide a quote which was very resonances on the day of the job they worked tirelessly to ensure that they were 100% satisfied. Even coming back after not being happy and problem solving away to clean our incredibly high and not reachable by ladder gutter. If you have gutters that are difficult to reach or you simply want clean and no mess left behind by professional, friendly and dedicated team… then give these guys a call. We will be using them every year." "I contacted Tony and got a quick friendly response. He surveyed and quoted the job promptly. He completed the job to a high standard as and when he said he would. I'm a very happy customer." "Due to multiple level building on steep and difficult topography previous gutter cleans were always problematic GutterSucker persevered and exceeded all my expectations to produce a 100% clean." "Good service, Tony is easy to communicate with, does a good job, explains how he works, cleans up after the work, turns up on time. Also knows what he is doing, so he won't damage your gutters. 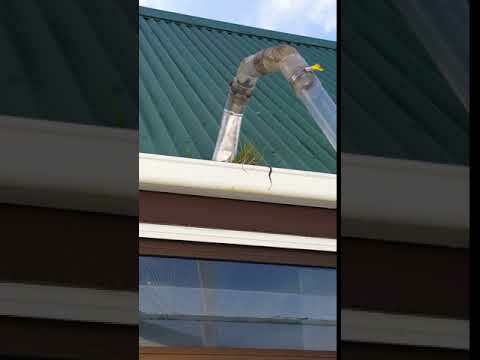 Part of the suction tubing he uses is clear, so you can see how much soil, leaves, twigs, etc it is picking up and from where along the gutter." "Tony was super professional and friendly - very honest and upfront about the quote, did an amazing job of our gutters, went over and above basically! Would highly recommend. " "Tony did a fantastic job of our many huge windows, which hadn't been cleaned in a very long time. Prompt response and turned up when he said he would. Highly recommend." "Tony did a fantastic job cleaning the exterior windows and gutters on my Ashby St property. The tenants were pretty happy too after that! The price was really competitive and Tony kept me up to date with the process and also informed me of some work that was needed on one of the gutters. He took photographic evidence as well which was great as I was able to show the owner the result." "easy to deal with and did job with little notice and no fuss"
On time and got the job done quickly and efficiently. He also went the extra mile and trimmed a creeper that was starting to overgrow the roof and while he wasd there checked the roof as well. "Everything was really easy to arrange. Tony arrived on time and did a great job. I just left him to it and returned when it was finished. He explained all that had happened, all the problems he had solved." "When I talked to Tony about the issues we were having he was quick to explain some alternative solutions, he keep the communication channels open re timing of the job, sent us photos of what he was proposing and completed and suggested additional things that may assist - a novel concept for many trades nowadays, honesty and good work at a fair price - totally recommend Tony to anyone that needs his services"
"Tony and his team provided a very efficient and effective service. Someone I have been trying to find for several years. I was so impressed, I have already booked him in for next year. " "Great service. Tony did the gutter clean quickly. Took all rubbish away. Sent me some pictures of the clear gutters and gave good maintenance feedback. Will get them back next year. Definately recommend Tony." "Tony was awesome. The end job was so much better than I expected. Tony’s prior job was over running but he made a point of keeping both me and the Tennent informed. Will use again and would recommend to anyone. " "Great Service, Professionally done no hassles and always willing to discuss options"